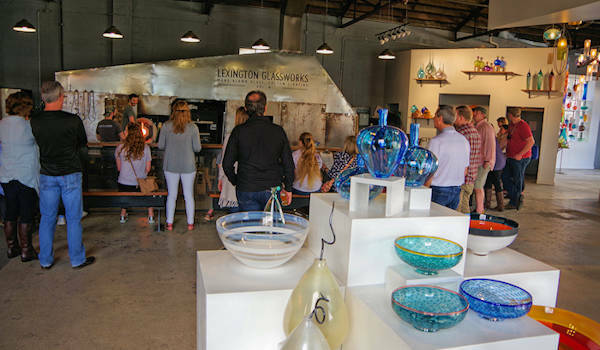 Lexington Glassworks (81 South Lexington): Our top place to watch glassblowers at work is Downtown Asheville. 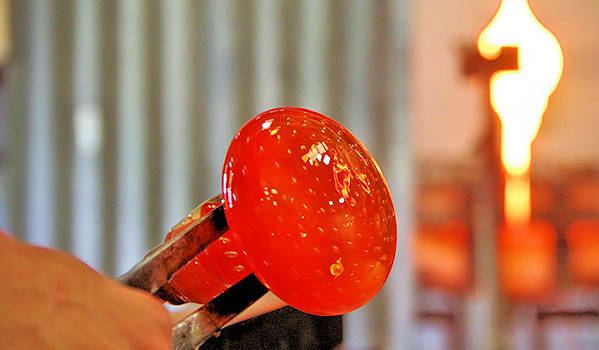 Owners and glassblowers Billy and Geoff love to demonstration the entire process. They even have a special viewing area with benches and a bar with local beers on tap! The gallery is open every day with glassblowering each day except on Tuesdays. Admission is free. Their gallery is full of their gorgeous creations in all price ranges. They are open late on many weekends with live music the first Friday of each month, April-December. Read more about them. 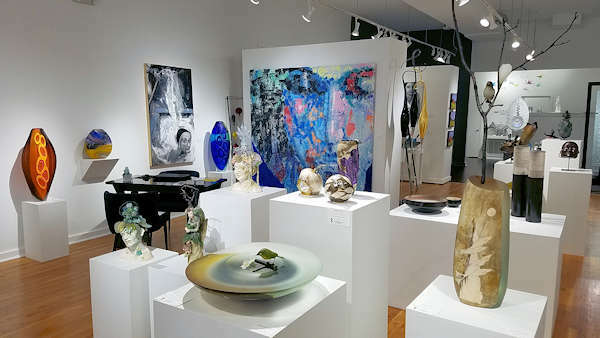 Bender Gallery (29 Biltmore Ave): Don't miss this contemporary fine art gallery specializing in museum quality glass sculpture by U.S. and international artists. See work by some of today's leading glass artists including the world renowned Maestro Lino Tagliapietra, Davide Salvadore with sons Marco and Mattia, Hiroshi Yamano, and husband and wife team Philip Baldwin and Monica Guggisberg. You will be inspired by their creativity and skill. Go to their Web site for more. Momentum Gallery (24 North Lexington) features top contemporary artists from western NC and across the country. Read more. 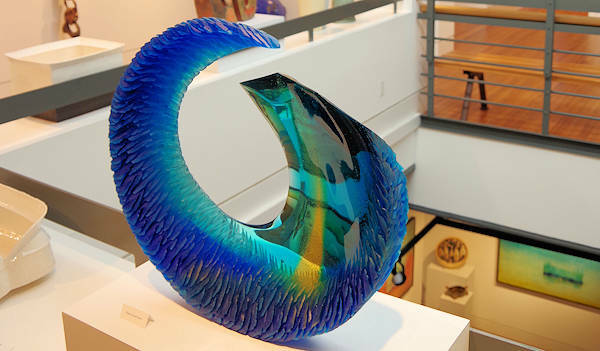 Blue Spiral 1 (38 Biltmore Avenue) is the largest fine art gallery in downtown Asheville. See exceptional creations by 100+ artists on three floors. 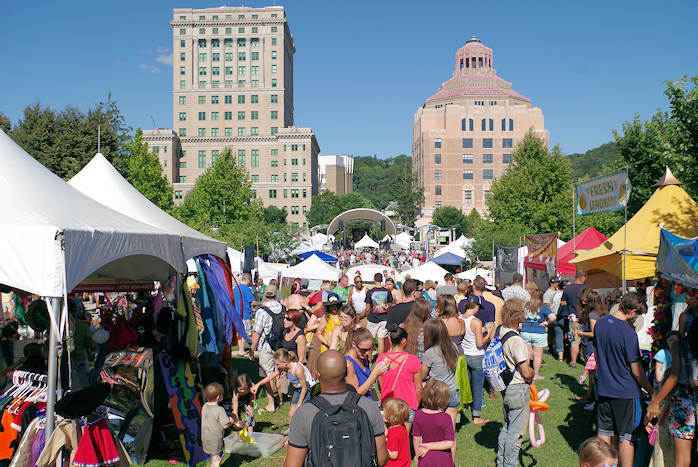 North Carolina Glass Center (140 Roberts Street, Asheville): Located just a couple of miles from downtown and Biltmore is the River Arts District, home to this non-profit glass teaching center. Stop by to watch demonstrations and sign up for a class. Book a 30-minute hands-on glass experience ($50-$75/person) to work one-on-one with an instructor to create their your own piece of glass. What a souvenir! 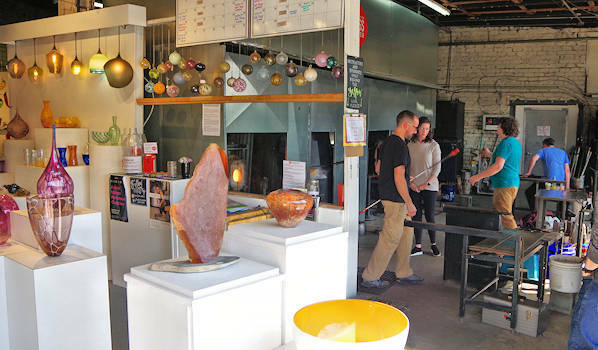 Many area glassblowers use their studio, and you'll find their work in the gallery open 7 days a week (no demos on Tuesday). 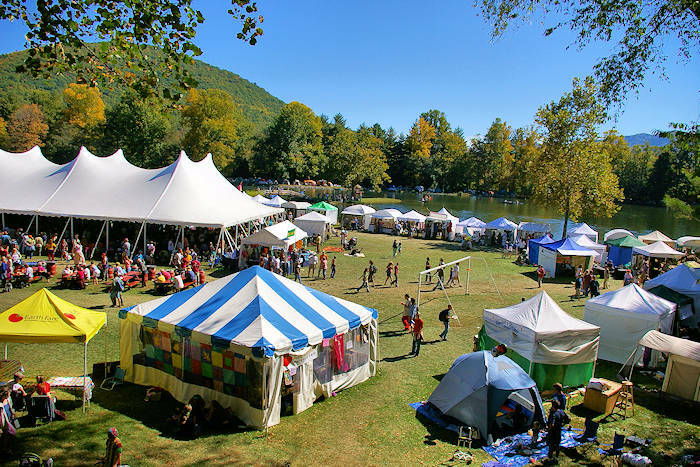 Jackson County Green Energy Park (50 miles southwest of Asheville): This fascinating arts complex in Dillsboro that is powered by methane gas captured from the old town landfill. The fuel provides heat for blacksmith forges, metal foundry, pottery kiln and glassblowing. Watch demonstrations most days and check out their gallery. Also, artsy downtown Dillsboro is nearby with many galleries! 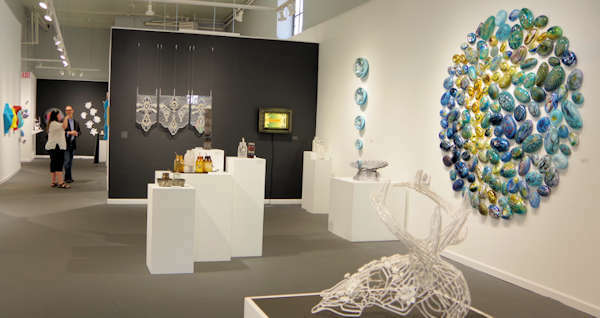 Penland School of Crafts (50 miles northeast of Asheville) a famous center for craft education tucked away in the Blue Ridge Mountains with one to eight week workshops in a big variety of mediums, including glass. Their gallery of student work is very impressive, and you can explore the historic campus. Classrooms and most studios are closed to the public. Located near Spruce Pine. 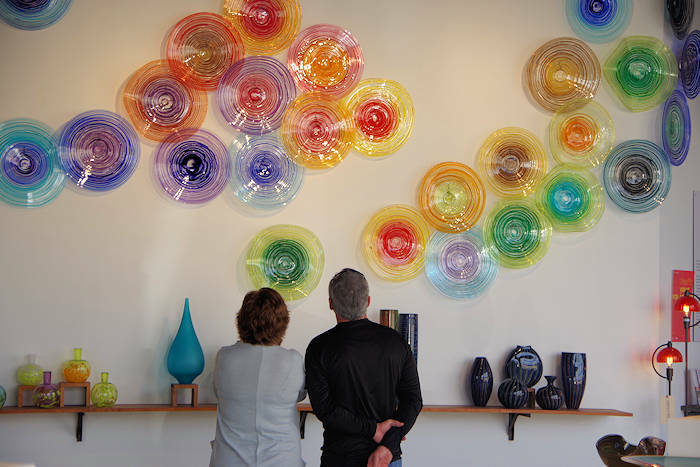 Toe River Studio Tour includes 24 glass artists at studios and galleries in the Penland area. Read more.